Tiger Woods has won the US Masters. 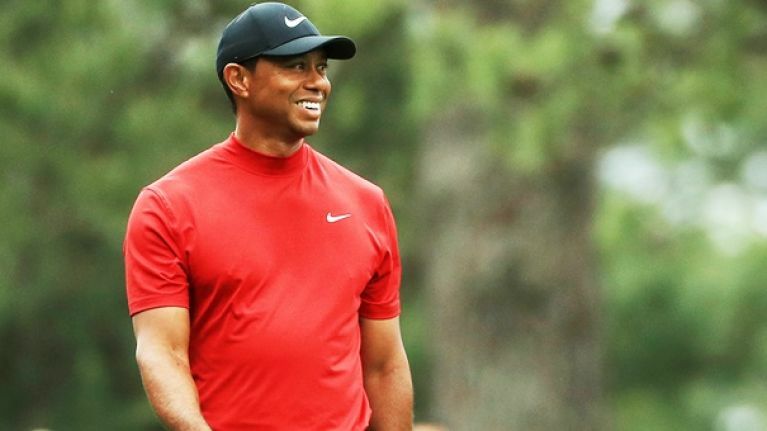 14 years on from his last US Masters triumph and 11 years since his last major win, Tiger Woods is back in the big time. He closed out his final round like with military precision to end up on -13 and to win the tournament by one shot. "From down and out not being able to play, this may be one of the greatest comeback in the history of sports," said Butch Harmon on Sky Sports. Tiger was up and down on the front nine, but he came into his own down the back, bringing that famous steely eyed composure to the table. He never once flinched when it came down to it, hitting his irons perfectly and putting stone dead. After getting to -12 with a birdie on the third, to go within one of the lead, Woods' putter went cold. He dropped two shots as Francesco Molinari continued to make steady pars. All of that would change on the 7th hole, however. Woods pinged an iron approach to within 18 inches of the hole to set himself up for a tap-in birdie. Molinari faltered with a par putt and there was a two-shot swing. Both men traded birdies on the next hole and, after pars on the ninth, it was on to the back nine. Woods then bogeyed 10 and Molinari was struggling to get going. The Italian, Brooks Koepka and Tony Finau all found the water over the space of a couple of minutes and Woods, getting par on 13, hit the front. Woods was then overtaken, briefly, by Patrick Cantlay and Xander Schauffele. Both Americans faltered and Woods, down the stretch, clicked into hyperdrive. The birdie putt was caressed in and Woods was two clear of the field with two holes to play. Dustin Johnson, at that stage, had posted the clubhouse target of -12 but Woods looked well set to surpass it. He took it home, could even afford a bogey on the last to win by one from Johnson, Koepka and Schaufele. His 15th major win. One of the greatest sporting comebacks of all time. Augusta breaks into roars of Tiger Tiger Tiger.